five or even thirty-five years. 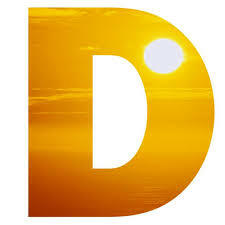 There is a substantial amount of studies showing the multiple benefits of Vitamin D. Vitamin D is one of a group of vitamins found in liver and fish oils. It is essential for the absorption of calcium and the prevention of rickets in children and osteomalacia in adults (both diseases defined as a softening of bones in either children or adults due to deficiency or impaired metabolism of Vitamin D).